Corsair SP140 Red Put one of these in as the Rear Exhaust. Yes I know, it is likely that I should have used an AF140 at this location. But when I was picking things up SP is what was in stock, and from what I've read it is unlikely to make a Huge difference using a SP where an AF should go. And that I would have been shooting myself in the foot more if I had tried to put an AF on a Radiator Grin.. Originally bought this as a front intake fan infront of my extra drive cage. I've since removed the drive cage, and in hidnsight, I would've just bought a High Air Flow fan. 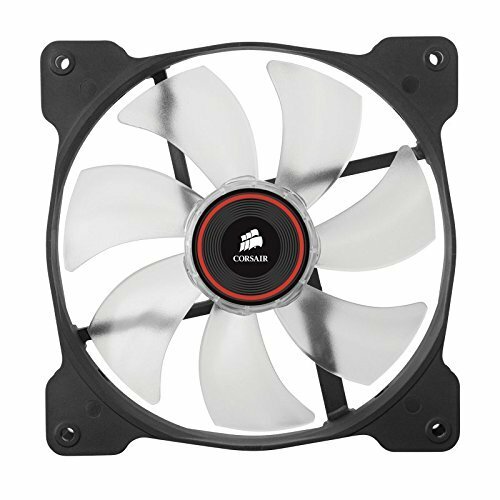 Great exhaust fan, moves lots of air, with an attractive red LED.